KiptonART Artist Janet Rutkowski is currently taking part in a competition that could win her $5,000. This Brooklyn based competition awards her not only the stipend but a chance to be featured in a gallery exhibition with the organization. Be sure to support Janet by going to steelyjan.3rdward.com and vote for her work! Rutkowski's work was recently featured at the KiptonART Access Space at 75 Wall Street, New York. A Night to Make Your Soul Pop! 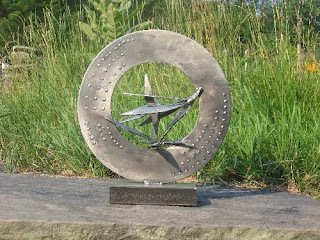 Final Week To Register For KiptonART Rising 2011!